This page is for those who want the instruction to fold a fractal origami rose. This origami rose is a good example to learn what fractal is. A fractal is an object that displays self-similarity. In this model, the folding technique called "cushion-fold" will be applied repeatedly for three times. Each cushion-fold produce four inner petals. So we expect to have all together 12 inner petals for three cushion-folds. 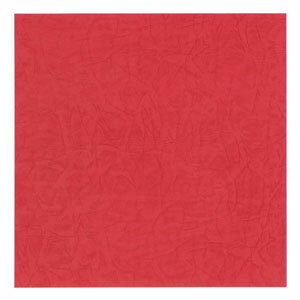 If you use a thin paper, then you could apply more than three times, then you will have more petals. Before working on this model, you need to know what valley-fold and mountain-fold are. If you know these two folding techniques, then you will have no problem in making origami rose. 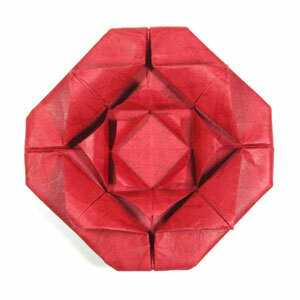 You may use any kind of paper to fold the origami rose. 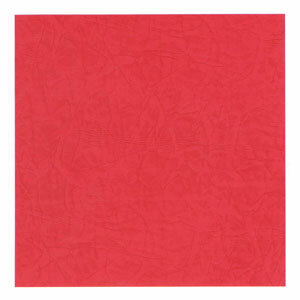 It is a little easier if the front and the back side of the paper are slightly different whether it be in texture or color.